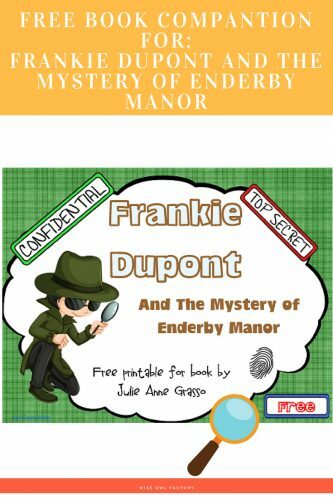 This Frankie Dupont and the Mystery of Enderby Manor freebie is for the new book by Julie Anne Grasso. Of course, I made a new free printable for this mystery for grades three and up. I recommend this for any mystery unit and gifted education classes as the clues are so clever and higher level thinking skills are required for children to understand the plot and story resolution. A wonderful discussion would be possible with the interesting clues and plot twists. 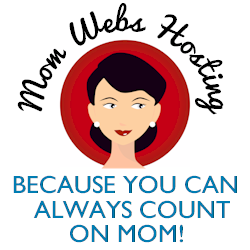 I have a new web page for Julie Grasso’s books with all my freebies for them. Did you know one of her other books, Escape from The Forbidden Planet is free for five days, right now on Amazon? You can get that book and the printable both free now. 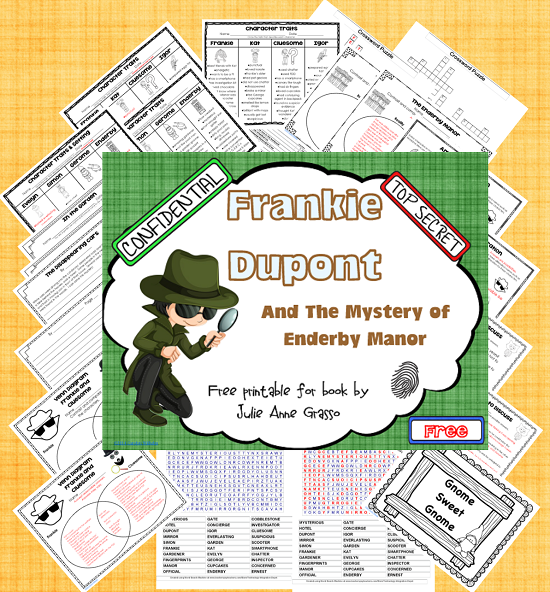 The free printable for Frankie Dupont and the Mystery of Enderby Manor is available right here. Frankie Dupont wears a fedora hat, like all good detectives everywhere! Students find hats so interesting, so included in the printable is a page about hats as several different kinds are mentioned in the story. This is the table of contents so you know what is included in the printable. Don’t forget to buy the book! The printable has a few pages that will be useful without the actual book, such as the hats page.